The Savannah Mirror is a great piece! It features a square frame that is characterized by lengths of natural rope that circle around the central mirror. It is trimmed on either side by a studded black metal border. 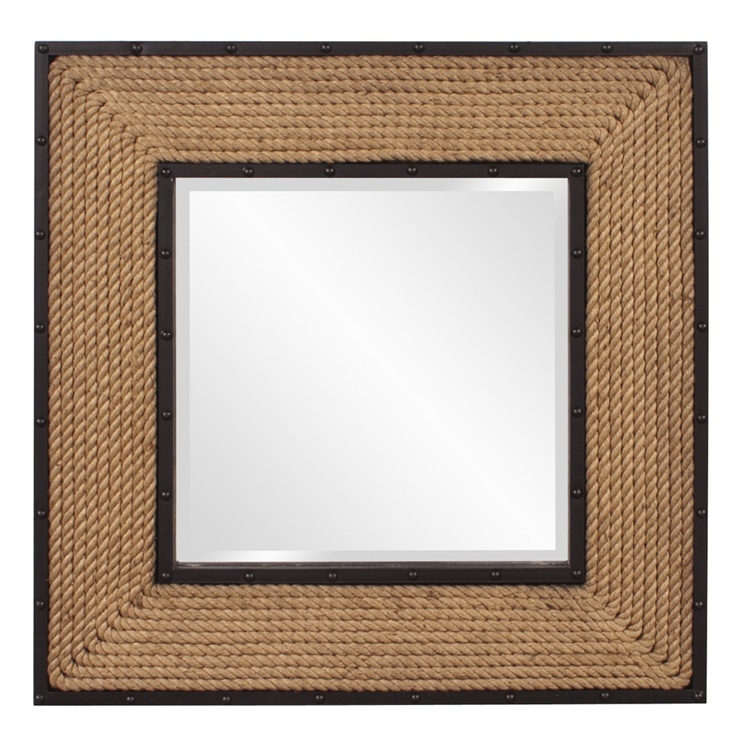 The Savannah Mirror is a perfect accent piece for any design.Hang in either a square or diamond orientation. The mirrored glass on this piece has a bevel adding to its beauty and style. Also available in a round frame. Customizable for larger orders.